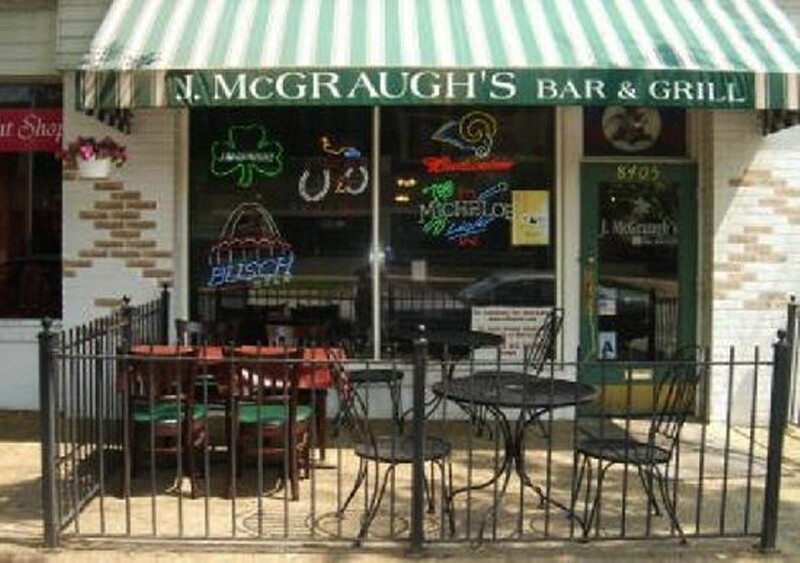 Sports fans will find all the game-day favorites at J. McGraugh's. Choices include T-ravs, burgers (including bison and turkey), Philly cheesesteak and pizzas. Guests can sit at the long bar or at one of the high-tops along the opposite wall and admire the sports paraphernalia, or, on nice days, sit on the small front patio. with parmesan, tomato and croutons. 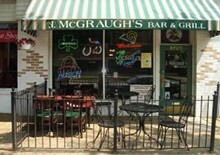 add grilled chicken $8.50 or wrap -$7.95 or add grilled tuna $9.95. lean and prepared to your liking. grilled chicken, topped with spinach and artichokes, and swiss cheese. marinated, grilled and served with potato and veggie.